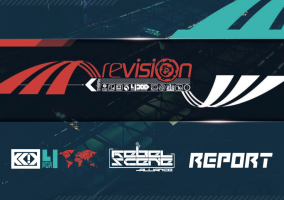 Revision is the world's biggest pure Demoscene event with visitors from more than 30 countries! Don't know what a Demoparty is? We'll explain it here! Also don't forget to check out the awesome invitation demo „Megalactic” by Schengen Allstars. Revision 2014 was awesome, thank you all for attending and bringing your great productions with you. We hope you all got back home safely and made lots of new friends and memories - we surely did. If you have pictures, reports, videos etc. for the after party page, please send them to hotline-2014@revision-party.net. Revision is the worlds biggest pure Demoscene event with visitors from more than 30 countries! 792 people have signed up so far.